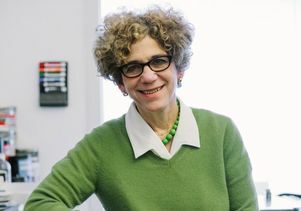 Professor Johanna Drucker has published a new book, “Graphesis: Visual Forms of Knowledge Production” (Harvard University Press, 2014), in which she outlines the importance of learning to interpret how visual forms not only present knowledge but produce it. Inaugural Breslauer Professor of Bibliographical Studies at UCLA's Graduate School of Education & Information Studies (GSE&IS), Drucker looks at the need for a descriptive critical language for the analysis of graphical knowledge, andshe makes the case for studying visuality from a humanistic perspective, exploring how graphic languages can serve fields where qualitative judgments take priority over quantitative statements of fact. An expert on the history of graphic design, typography and digital humanities, Drucker is currently working on a project titled, “History of the Book” in partnership with the online Museum of Writing at the School of Advanced Study at the Institute of English Studies at the University of London. Using materials from the UCLA Library's Special Collections, Drucker and her colleagues are building a resource for pedagogy on creating interpretive frameworks for rare, esoteric or unusual materials. She also teaches a class on “History of the Book,” where students help to create an online exhibit using the tools of a medieval scribe, as recreated by Alan Cole, the founder of the Museum of Writing. This story was excerpted from Ampersand, the GSE&IS online newsletter. Read the original story here.